I.N.K. will be taking a summer break. Please feel free to look through our archives to revisit favorite posts or peruse a few you might have missed. We'll be back in September with some new bloggers, some old friends, and many intriguing ideas. We are also exploring ways to share more current nonfiction recommendations without becoming purely a review site. 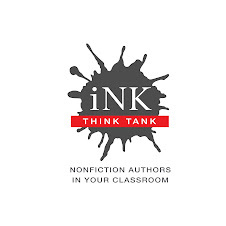 If any marketing/publicist people would like to introduce their nonfiction books to us, please contact me at the email address listed in the sidebar. Have a lovely August and we'll see you in September.